Gillon is a specialist family law practitioner recommended by The Legal 500 and by Chambers and Partners in both Matrimonial Finance and Children categories. He accepts instructions via solicitors and, where appropriate, directly from a client via public access. His practice has a strong emphasis on financial remedies and disputes between cohabitants involving trusts of land. He also has wide experience in cases involving dissipation of assets, financial provision for children and foreign elements. He is available to provide advice, to draft court documents, and to provide representation at court in relation to all areas of family financial disputes and disputes about arrangements for children. Gillon is acutely aware of the need for great sensitivity to clients who are going through an emotional and highly charged time in their lives, and endeavours to make the experience of coming to court an easier one for his clients. His plain-speaking and down to earth manner ensure that his clients are both comfortable with him and clear about the court process in which they are involved. Gillon has regularly written for Family Law Week. Gillon practises in all areas of law involving family disputes concerning children. He has over 15 years of experience in cases involving disputes over care of children, cases in which a parent or child are refusing a relationship with the other parent, and cases of parental alienation. His work often relates to issues of parental responsibility, medical treatment, schooling, change of name, or cases of relocation. At all times, Gillon attempts to keep focus on the particular needs of each individual client, and the welfare of the children who are involved. Gillon is recommended for his work in Private Law Children cases by Chambers and Partners publication. Final hearing of private law proceedings, which had the involvement of two local authorities and the children being represented by their Guardian. The Court made a Shared Residence Order and Supervision Order, finding the threshold criteria to be crossed. Finally, the Court made an Order by consent pursuant to s.91(14) Children Act 1989, preventing either parent from making a further application in respect of the child for two years without the Court's permission. Gillon has over 15 years of experience providing advice and representation as to the financial consequences of relationship breakdown for both married and unmarried couples. He has particular expertise in claims in relation to interests in property brought by cohabitants and claims for financial support for the children of unmarried parents. Well known for the quality and clarity of his paperwork, he is frequently asked to draft pleadings and statements in such cases. 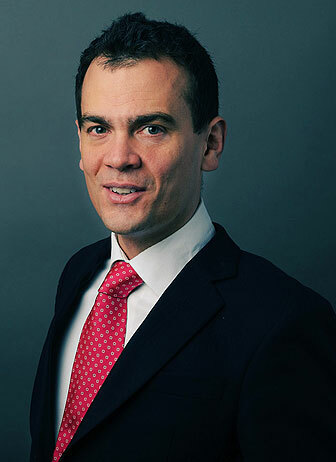 Many of Gillon’s cases have been reported in the law reports, and he is recommended for his work in Family Finance by The Legal 500 and Chambers and Partners publications. Gillon provides clear and straightforward advice aimed at finding pragmatic solutions, and avoiding unnecessary expenditure. He aims to bring a common sense approach to the resolution of family disputes, while at all times maintaining sensitivity to the particular needs of each client. Gillon has significant experience in cases involving international relocation, child abduction and cross-jurisdictional disputes, including applications under the Hague Convention. He is acutely aware of the need for both urgency and creativity in such cases, and provides clear and sensible advice. He speaks conversational French and German.